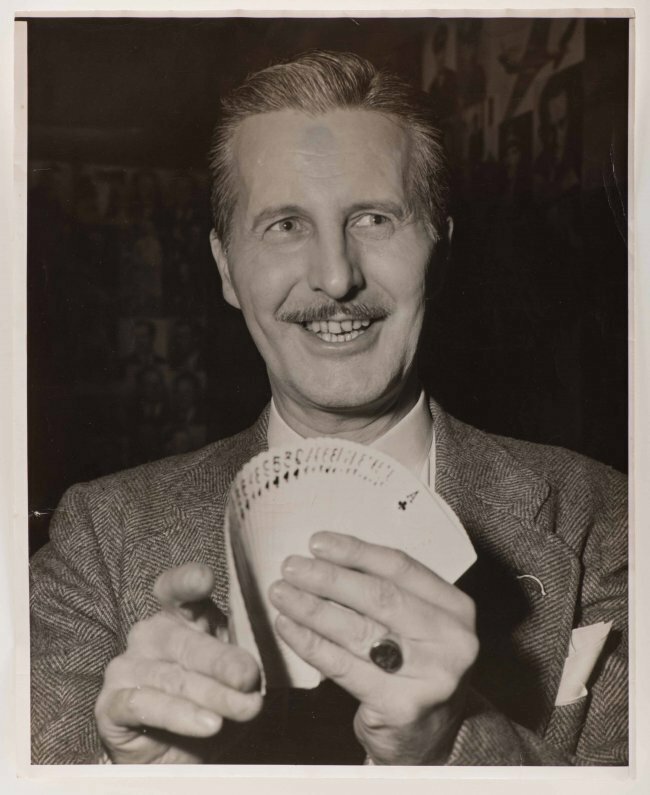 Dai Vernon (1894-1992), nicknamed “The Professor,” was a Canadian-born magician and sleight of hand artist who mentored numerous fellow magicians and billed himself as “The Man Who Fooled Houdini.” Here's why: Harry Houdini often boasted that if he saw a card trick performed three times in a row, he would be able to figure it out. Vernon then showed Houdini a card trick seven times. Each time Houdini insisted that Vernon "do it again." Finally, Houdini's wife and Vernon's friends said, "Face it, Houdini, you're fooled." Houdini admitted he was. On Saturday, August 27th, an auction featuring a wide array of magic collectibles, both old and new, will be held by Potter & Potter Auctions in Chicago, Illinois. Featured will be an assortment of personal memorabilia and tricks owned and used by Dai Vernon, as well as the author's own copy of Sidney W. Clarke's famous Annals of Conjuring (one of four copies bound to Clarke's specifications); a selection of Pierre Mayer's wooden automatons; a selection of collectible books; and vintage ephemera from Heller, Hartz & Anderson. Visit www.potterauctions.com. Giovanni “Gio” Ponti (1891-1979) was so talented and so prolific, it was said he squeezed 60 hours' of work into a single day. Born in Milan, Italy, Gio Ponti was an architect, industrial designer, furniture designer, artist and publisher. He earned a degree in architecture but took his first job with a ceramics company, serving as artistic director. That early time in ceramics influenced the rest of his career, as Ponti planned not just a building's exterior but often its entire interior as well, creating the chairs, coffee tables, lighting and even glassware and silverware. On August 24th-26th, James D. Julia, Inc. will offer a rare and important Le Funi urn by Gio Ponti, as part of its Fine Art, Asian & Antiques Sale in Fairfield, Maine. 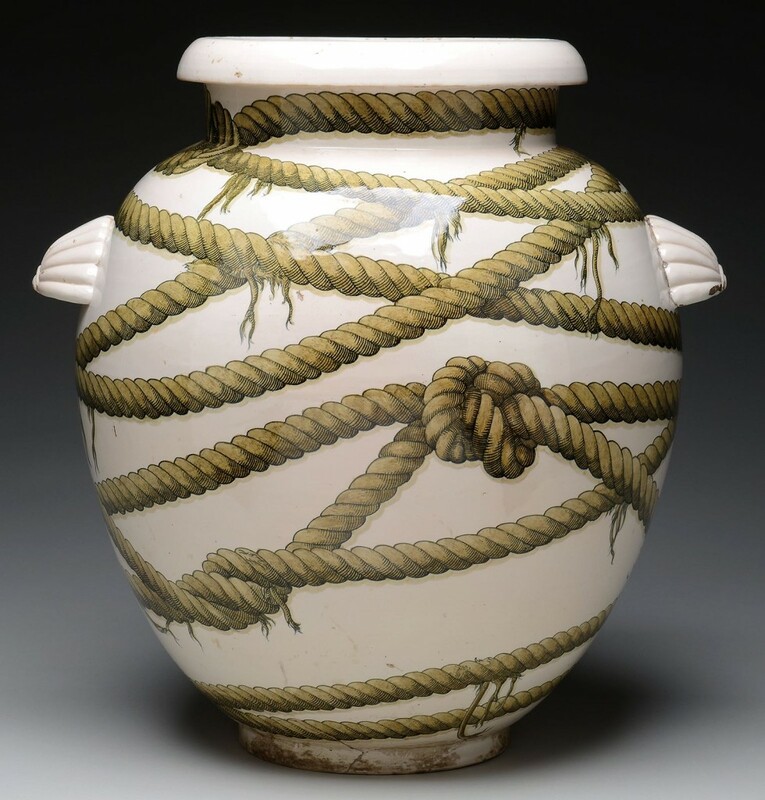 The large tapered vase has two ribbed side handles, a fold over mouth rim, and a cream background with horizontal decorations of ropes and knots. The bottom rim edge is signed, “Gio Ponti 1927”. The 19-inch-tall urn is one of only three known. The other two are in collections in Verona and Genoa, Italy. Julia has assigned the piece an estimate of $50,000-$100,000. Visit www.jamesdjulia.com. Pulp magazines (also referred to as dime-store novels, penny dreadfuls, or just “pulps”) were the inexpensive fiction magazines published from around 1900 to the 1950s. The word pulp refers to the cheap wood pulp paper on which they were printed. Typically they were 7 inches by 10 inches and usually ran 128 pages. The magazines were best known for their lurid, exploitative and sensational subject matter, and the covers (which are often unintentionally hilarious by moderrn standards) played into that. The pulps are collectible today, but don't carry a whole lot of value. However, the cover art for these magazines can fetch handsome sums. 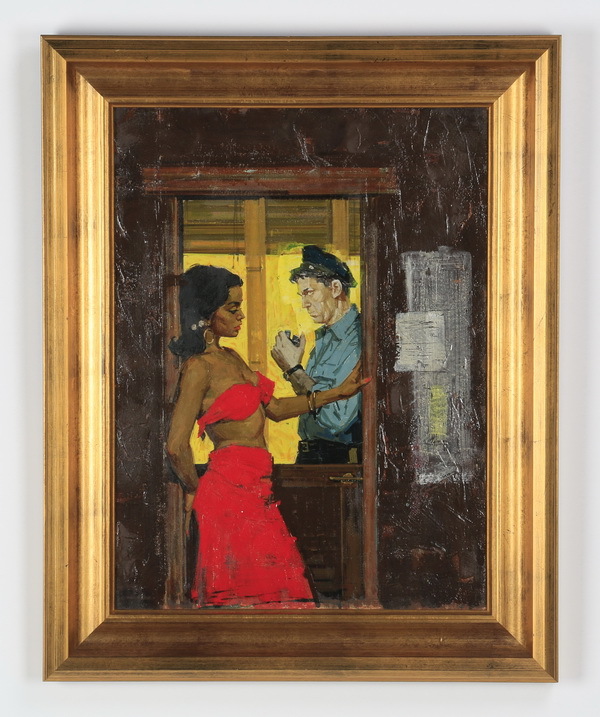 A case in point is the example shown here, an oil on artist board rendering of a lady in a red bandeau top and skirt, speaking to a police officer, by James Alfred Meese (Am., 1917-1971). It served as cover art for the 1955 Signet pulp A Private Stair and is being offered at Great Gatsby's Auction Gallery's Aug. 27-28 sale in Atlanta, Ga. The work, 25 inches by 20 inches (framed), shows the artist's name and gallery label en verso, and has a starting bid of $700. And that's no fiction! Visit www.greatgatsbys.com. “This Labor Day we will be relaxing with our special online-only Mid-Century Modern auction, featuring hundreds of pieces of MCM, American, Danish Modern, Swedish, Norwegian, Hollywood Regency furniture and art,” said Jeremy Fair of Fair Auction Company in Chantilly, Virginia. The sale went online August 5th and will open fully on Monday, August 29th. It concludes a week later, on Labor Day, September 5th. It's not unusual for entire auctions to be dedicated whole or in part to Mid-Century Modern. That's how hot a collecting category it's become. The piece shown here is a beautiful, un-refinished teak sideboard that Fair Auction has assigned a pre-sale estimate of $1,750-$3,550. It is attributed to the renowned Danish designer Knud Nielsen and was manufactured for the high-quality furniture maker Losning Mobelfabrik in the 1960s. Features include a removable china-top with sliding doors throughout. 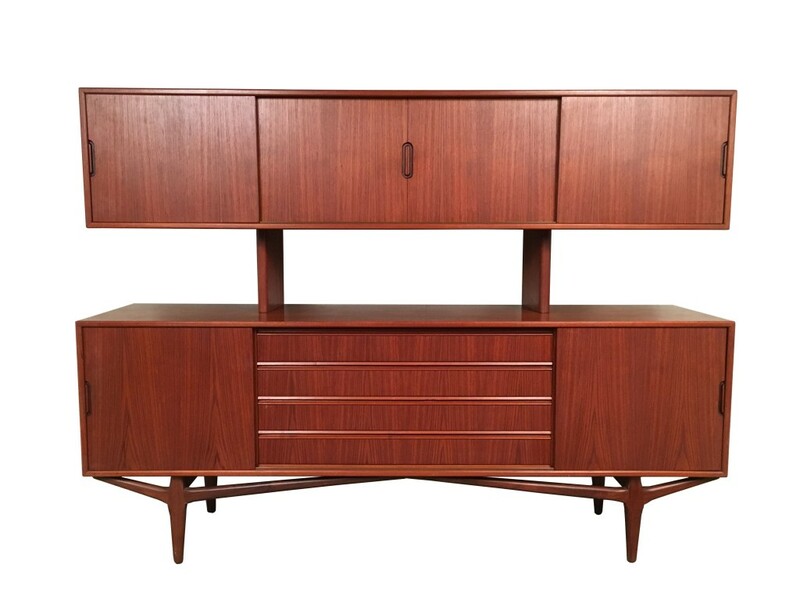 With its timeless Danish pedigree design, adjustable shelves and ample storage, the sideboard should generate keen bidder interest. To view the catalog, or register to bid, visit www.FairAuctionCo.com. Jeff McCluskey is by no means a household name, but he's a behind-the-scenes music industry powerhouse. He's a nationally recognized independent promoter of popular music and the founder and CEO of Jeff McCluskey & Associates, a leading independent radio promotion entity in the US for the past 35 years. The company has represented practically every major recording artist who's had a radio promotion campaign for the Alternative, Top 40, Hot AC, Rhythm Crossover and Rock 'n' Roll genres. He's also a collector, and that's why he’s being mentioned here now. On Tuesday, August 30th, Leslie Hindman Auctioneers in Chicago, Illinois will hold a Making & Breaking Records auction, featuring more than 100 certified platinum presentation albums from the private collection of Jeff McCluskey. Artists will include The Beatles, Madonna, Jay Z, Jennifer Lopez and Whitney Houston. Also sold will be posters, musical instruments and music memorabilia, also from McCluskey's collection. 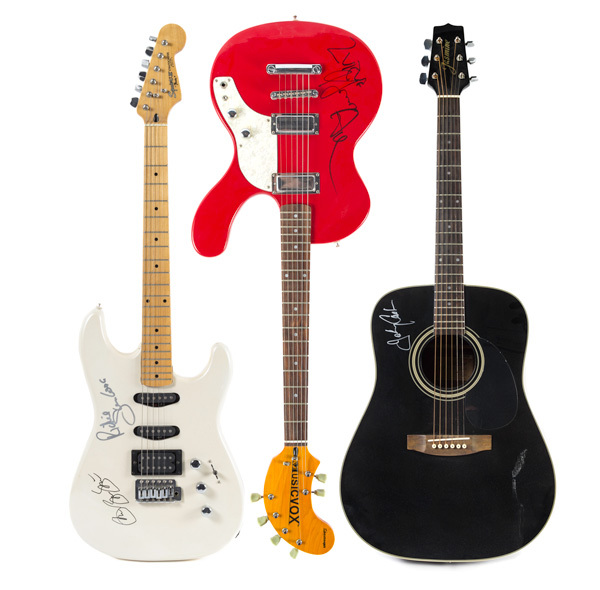 The auction will also contain autographed guitars and sports items, to include Comiskey Park stadium seats. Visit www.LeslieHindman.com.